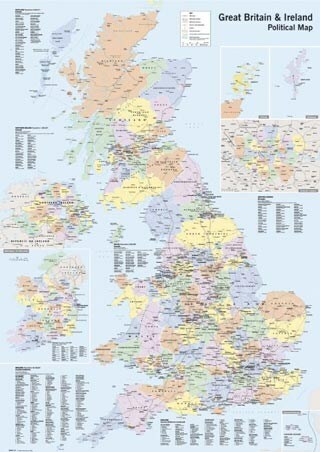 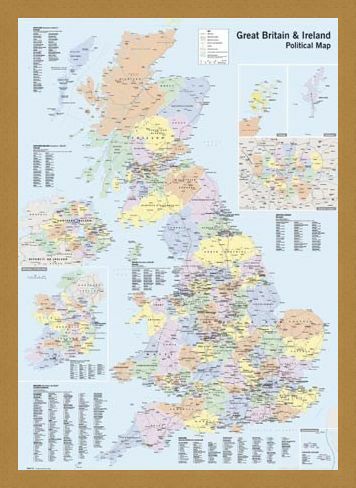 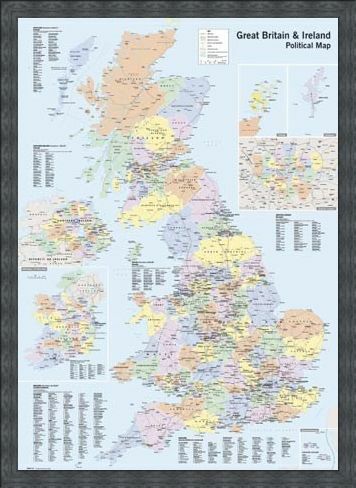 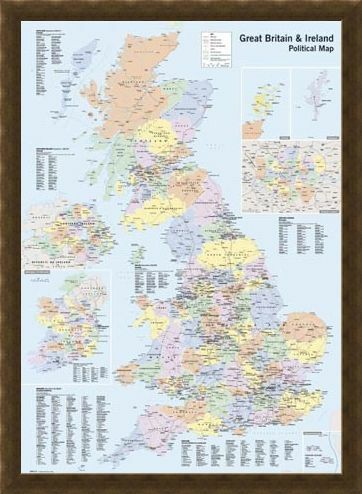 Map Poster: Here is the perfect companion for anyone looking to travel the United Kingdom to help you expand your geographical knowledge. 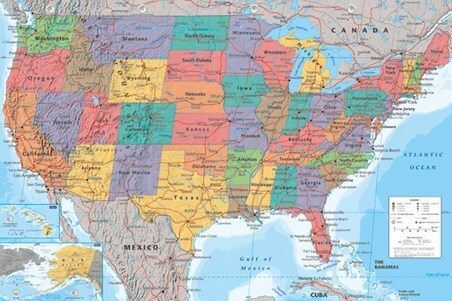 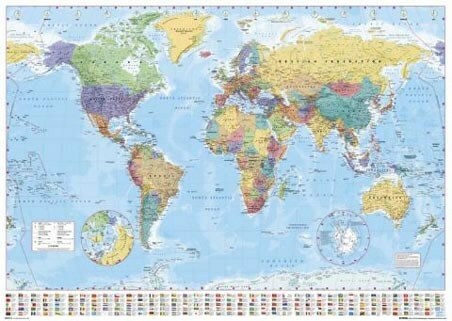 This political map is full of intricate detail with all the counties clearly marked. 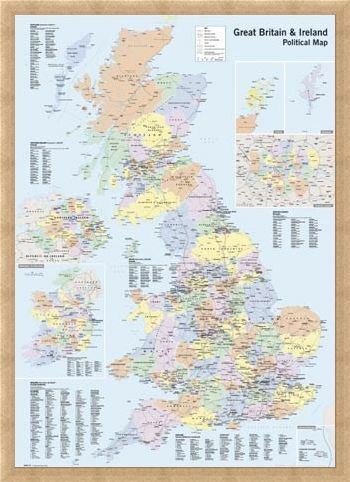 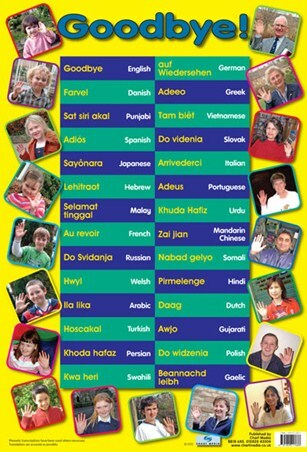 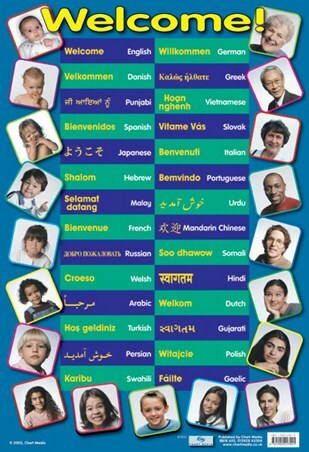 It includes Norfolk, Suffolk, Essex, Cornwall, Devon, Kent, Lincolnshire, North Yorkshire, Durham, Carmarthenshire, Wrexham, Aberdeenshire, Fife and all the other counties across the UK. Get to know your way around the UK with this stunning political map hanging from your wall. High quality, framed UK & Ireland, Political Map poster with a bespoke frame by our custom framing service.